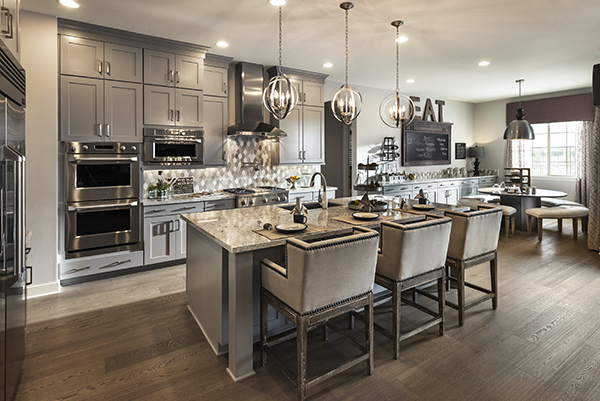 A majority of desired home buyer preferences indicated preferences towards granite countertops and stainless steel kitchen appliances, according to a new home buyer survey conducted by the National Association of Home Builders. The survey, What Home Buyers Really Want (2019 Edition), found that there is no clear majority on preferred cabinet finishes. The new home buyer survey polls recent and prospective home buyers—people who have bought homes in the last three years or plan to purchase a home in the next three years—about desired home buyer preferences and features in their home purchase. CAD Pro has helped thousands of homeowners, remodeling professionals, builders and contractors plan and design all types of home design ideas and projects. CAD Pro is used by NARI professional remodelers and contractors. CAD Pro is also used by NHBA home builders and contractors. Share your desired home buyer preferences and plans with clients, colleagues or professional remodeling contractors using Dropbox®, Google Drive™, OneDrive®, and SharePoint®. Export files to Microsoft Word®, Excel®, and PowerPoint® with a single click. Respondents have a clear favorite when it comes to appliance color. Sixty-seven percent want a stainless steel color while 15% each want white and black. The remaining 3% of respondents cited a preference for some other color. Respondents also have a clear desired home buyer preference when it comes to countertop material: 57% want granite or natural stone countertops. Quartz/engineered stone comes in at a distant second place, preferred by 21% of respondents. Much smaller minorities are interested in either solid surface (12%) or laminate (8%). Findings from the new home buyer survey show that there is no clear majority when it comes to finish and color preferences of kitchen cabinets. About the same share of respondents give traditional and contemporary cabinets the same desirability rating: 62% and 58%, respectively. Almost a third of respondents—32%—want white cabinets, not much higher than the 26% who prefer a medium brown cabinet color. Cad Pro is an affordable and easy alternative to other more expensive home design and remodeling software programs. Cad Pro is great for creating countertop pricing, custom home plans, building plans, office plans, construction details, and much more. This entry was posted on March 27, 2019 by Home Pro News.